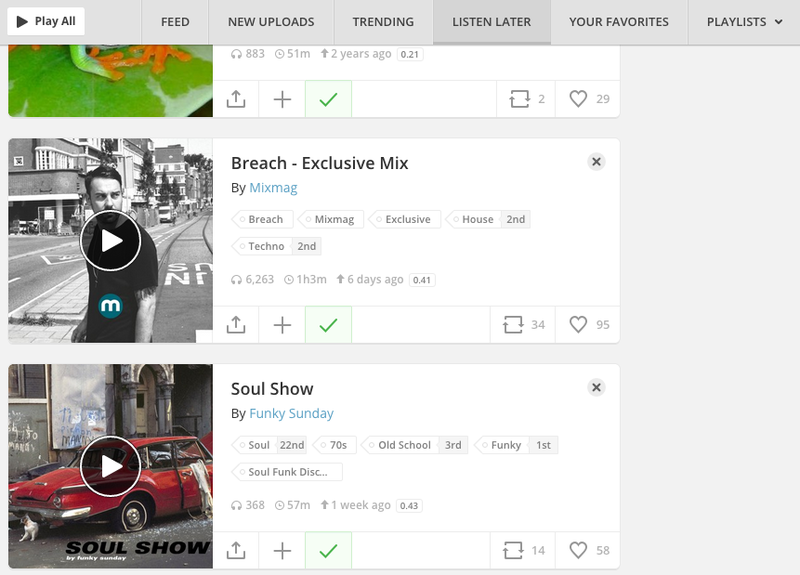 Mixcloud’s new Listen Later feature – The global community for audio culture. Because we noticed that a lot of people on Mixcloud were using playlists and favourites to keep track of the shows that they wanted to listen to at a later date, we decided it was high time we built a feature to keep track of all the gems you may have discovered while browsing for new shows – or simply keeping track of shows you want to return to. Notice in the action bar at the bottom of the mix the small clock symbol, these appear on every show on Mixcloud. All you need to do is click that and a green tick will appear confirming that your selection has been added to your Listen Later list. You can find the Listen Later tab at the top of your home page, where all the shows you’ve selected will be compiled for you. By adding shows to your Listen Later list, you can then access them whenever you want, so whether it’s something you want to listen to again, or for the first time – you’ll know exactly how to get round the issue of searching through your listens or favourites. 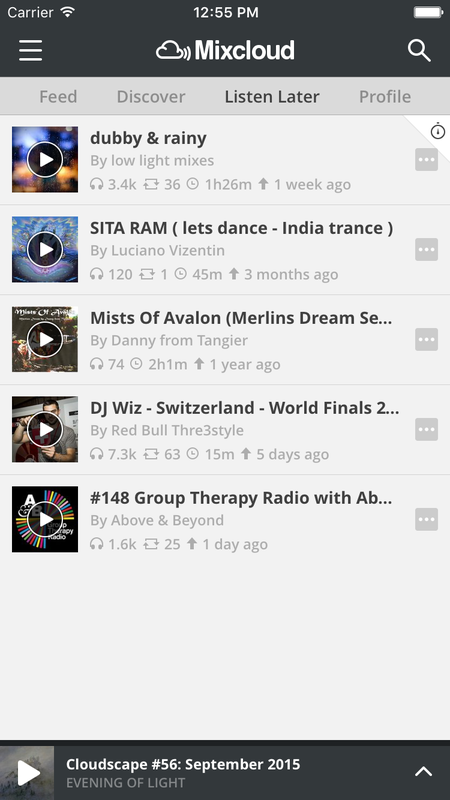 This feature is now available in both the Android and iOS Mixcloud apps.